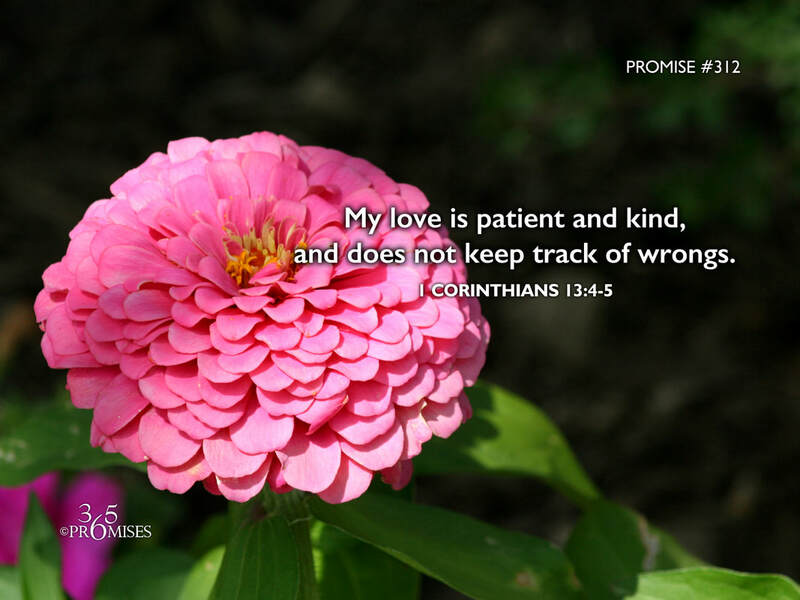 My love is patient and kind, and does not keep track of wrongs. 4 Love is patient and is kind; love doesn’t envy. Since the Bible says in 1 John 4:16 that 'God is love', I think it is safe to say that we could exchange the word 'love' in 1 Corinthians for the word 'God' if we wanted to. Think about reading this passage of Scripture as a description of the character and nature of God Himself. God is patient. God is kind. God doesn't envy. He isn't boastful. God is not proud. God isn't rude nor is He selfish. God isn't angered easily and God does not keep track of when He has been wronged. The love that God has for us will completely overwhelm us if we let it. Not one of us has experienced this kind of unconditional love in human relationships. The best horizontal love is but a shadow of the ocean of love that God has for each one of us. May the Holy Spirit help us to continue to explore His amazing love, setting sail on the vast ocean of His kindness where He keeps no records of the times that we hurt Him. Father, take us deeper in the depths of your love today! We open our hearts up to your unconditional, eternal love and we ask that we would know the vastness of your immeasurable love for us more today than ever before!